Payment Schedules refer to the date(s) on which you'll invoice families for a portion of their remaining balance. Each Payment Schedule must have at least one invoice date. Click + Add another payment date to add additional payment dates. Continue adding payment dates until you've entered all dates on this payment schedule. The new payment schedule will be added. 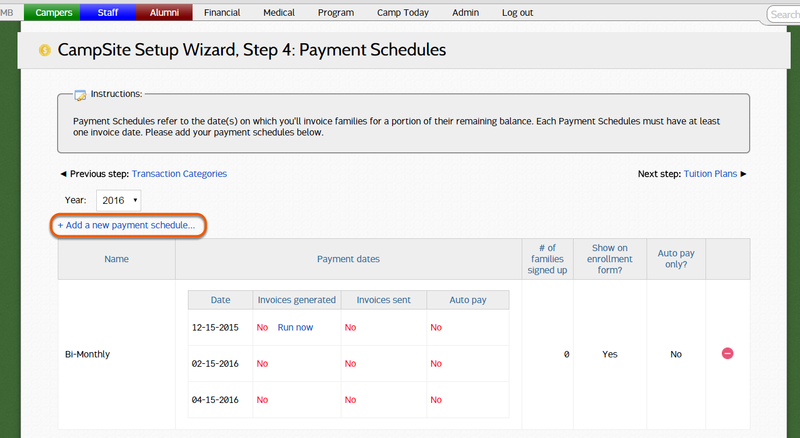 Double-click the red minus sign to remove a payment schedule. 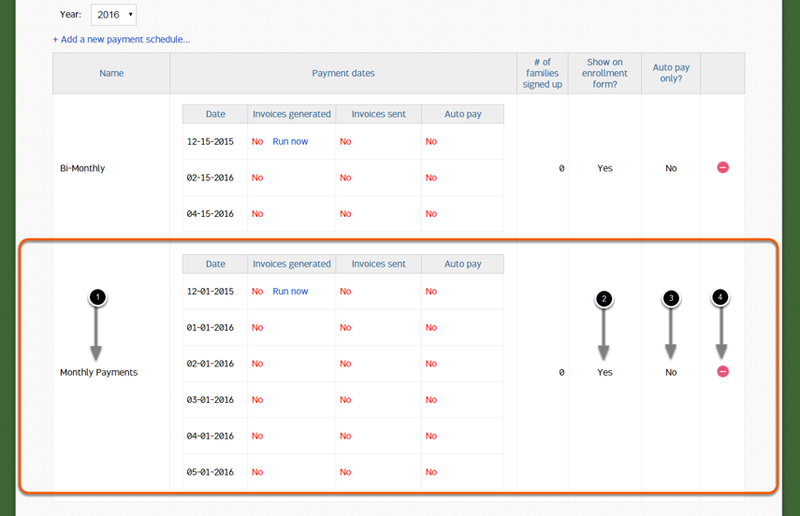 A payment schedule may not be deleted after it has been selected by a family.